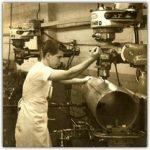 Shortly after graduating from high school in 1958, Goph began apprenticing as a precision toolmaker amid Santa Monica’s Aerospace industry. After developing his trade, he continued to work three more years as a journeyman. 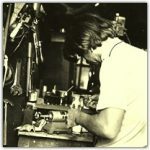 Goph’s experiences in precision machining would go on to inspire the clean, uncluttered lines and patient precision of his style as he transitioned into more artisanal trades. 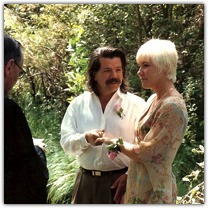 Goph’s career as a professional jeweler and artist began in Big Sur, between 1966 and 1976. Starting out as more or less a street artist, selling his wares on the lawn at a Baez Concert. in 1969 he and fellow artist Karl Lee opened a small shop at the Coast Gallery. 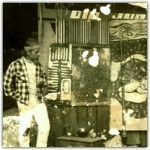 This venture came to an abrupt end however when a landslide, triggered by a winter storm, washed Goph’s studio into the Pacific Ocean. Tasked with rebuilding a career that had barely begun, Goph set up shop in his garage atop Pfeiffer ridge. 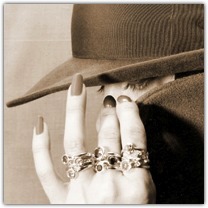 It was there that he developed his style–a look that would set him apart from the general idea of what jewelry should look like. Because his craft as a jeweler was self taught, Goph did not consider himself bound to traditional concepts of how jewelry was supposed to be made. Instead, he explored the techniques of modern industrial construction. Using milling machines and lathes for precision and employing high-tech adhesives for strength, the cleanliness and functionality of Goph’s designs were peerless from the start. Regularly providing repairs for the Phoenix Shop in Big Sur, they became the first store to carry Goph’s jewelry. It was through working with the popular Indian-style jewelry of that time, that Goph learned to do inlay work via his relationship with the shop. By cutting his own stones and now by adding the art of inlay to his craft, Goph pursued his first theme-driven collection. The “Contemporary Era” of Goph’s portfolio made regular use of inlaid ivory and hardwoods, thinking of jewelry as sculpture–art to wear. This collection was cast mostly in silver, though 18k gold occasionally found its way into his pieces. Running ads with the New Yorker magazine, Goph’s brand was on the rise. 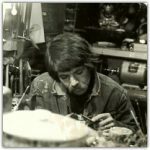 After relocating to Carmel in 1976, he opened a small design studio and started selling most of his work at the Steakly’s gallery; ‘Concepts’ a new idea for a “Designer Jewelry Gallery.” The first of a trend. 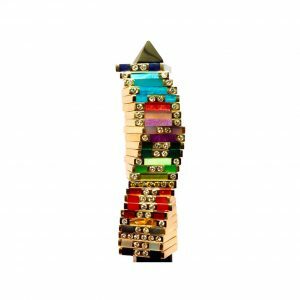 Uniform square rings with diverse inlay combinations–Stacking Rings allowed customers to mix and match multiple rings to fit individual tastes. Those who collected multiple stacking Rings were privy to countless variations: elegant pairings of diamonds with black and white, decidedly casual mixing of vibrant colors, glowing pops of gentle pastels, and many more. Some women had large collections of colors that they could arrange each morning to go with their fashion of the day. Goph’s collections garnered a buzz at ACC Rhinebeck show, and he opened several new accounts across the country. In New York, Aaron Faber Jewelry Gallery on 5th Ave and Bendel’s department store both notably featured Goph’s jewelry early on. 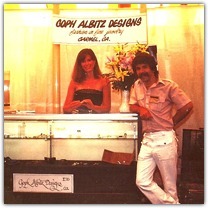 An even more significant outcome of Goph’s participation in the show came with his meeting Mort Ableson, the head of “Jewelers of America” and the organizer of the biggest wholesale jewelry show at that time: the biannual JA Show of Manhattan, NY. 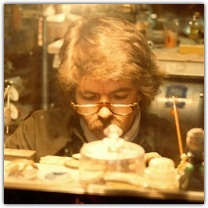 Mort chose Goph and nine others to show their work in a new marketing concept he called “The Designer Room.” Rather than exclusively tie a jewelry designer to galleries or designer-owned store, this initiative marketed designer jewelry to general retail stores. Goph’s repeated participation in JA Shows eventually lead some 50 stores throughout the country to carry his work. Being featured by the likes of Saks Fifth Avenue, Nordstrom’s, and Neiman Marcus, Goph’s designs found greater exposure and increasingly garnered invites to show his work at art galleries and high-end boutiques. 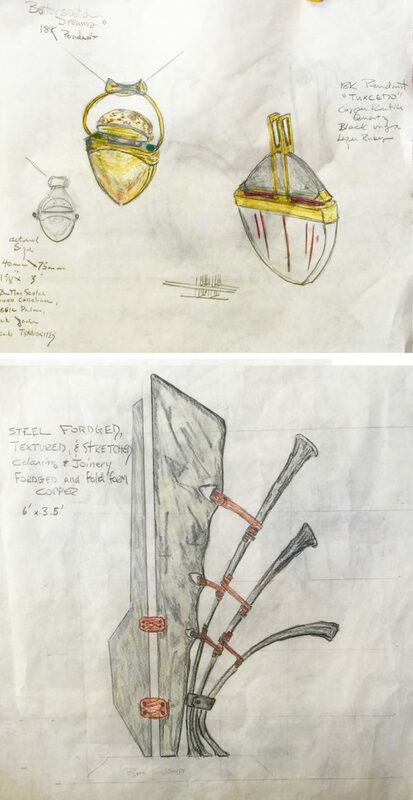 By 1988, success had overtaken Goph’s original desire to work as an exclusive, unique, and cutting edge designer. With a hired staff of jewelers fabricating his designs, Goph’s personal involvement in the making of his pieces had waned dramatically. His decision to return to the bench came from the natural urge to represent himself in art. 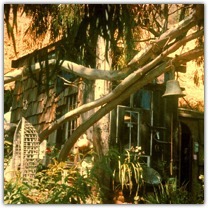 In 1989, Goph opened up his own “Designer Showroom” on Mission St. in Carmel. In 1992 when Goph’s new wife Lorry came to run the store. Her influence trimmed business practices and redirected focus to working exclusively with fine vendors. 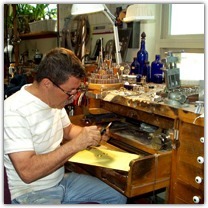 Goph Studios became a three-person operation, in addition to Lorry, Goph employed only one other jeweler, Lech, a Polish jeweler and accomplished Stacking Ring fabricator. Meanwhile, Goph returned to the bench to create original “One of a Kind” pieces. In 1997, Goph arrived at the current phase of his career. 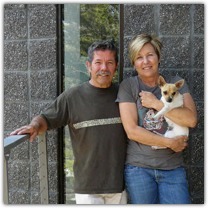 Relocating to Bend, Oregon; Leaving all retail to several galleries, with Ladyfingers taking over representing him in Carmel; now free he and his wife Lorry, the two sought a place to build their dream studio and (eventually) their dream home. Just three miles north of town, they stumbled across a pristine 10 acre plot of high desert wilderness––large volcanic rock outcroppings and views of the Cascade Mountains, sitting among the junipers. By 2000, the studio was completed and by 2005 their home, a retro-industrial dwelling took shape from concrete, steel, galvanized siding, and lots of glass. With a complete fabrication workshop at his disposal, Goph has found himself working more holistically than ever before: drafting the conceptual idea of a piece, cutting each integral part out of precious or semi-precious stones, alloying his own gold or other metals, and hand-fabricating each design into a uniquely fine piece of jewelry. 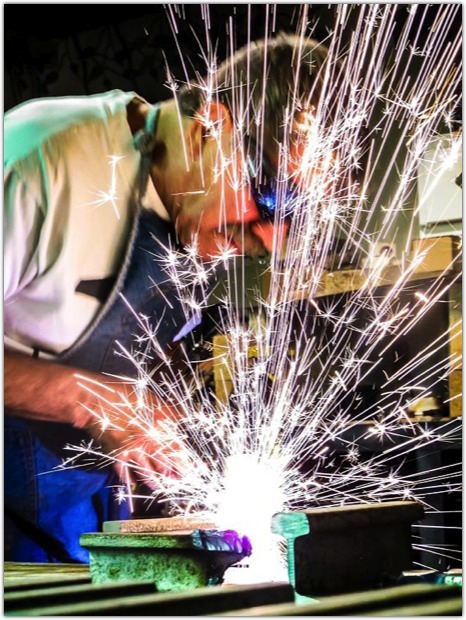 The workshop also offers Goph a chance to pursue other interests in sculpture, painting, and ironwork. Despite the various beginnings, shifts, and evolutions populating Goph’s career as an artist, his commitment to one-of-a-kind unique designs has remained constant. In 2009 his most recent collection, “Simply Cool” Goph has found his passion among heavily-textured and cracked metal, sterling, .999fs, 22k and 18k fused golds, vibrant gems with white and colored diamonds. In 2010 Goph teamed up with Glenn Espig at the SOFA Art Show in Chicago. 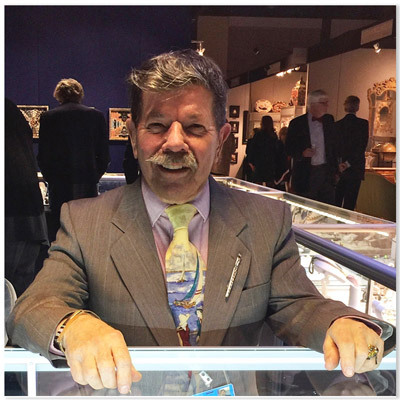 At Glenn’s booth, Goph found a chance to show his one-of-a-kind jewelry and floral sculptures under the concept of “Sculpture 2 Wear.” Glenn then added shows; Park Avenue Armory New York and West Palm Beach Show, with some side trips to Dallas, Aspen, and Miami. 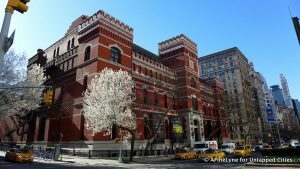 In 2016-17 my latest adventures take me to Europe, with the Karry Berreby Gallery in the Left Bank, Paris; adding the European premier shows “PAD” in Mayfair England, Brussels Belgium and Paris France. Goph is ever advancing his designs, concepts and craft, keep checking back for new updates to Goph’s story!